For many senior adults, visits to the emergency department becomes more common as they age. From falls to compromised immune systems, or heart attacks or other cardiac events – there are many stories we have all heard about horrendous and taxing experiences from others we know. Sometimes, seniors or other adults don’t realize the severity of certain symptoms and issues go ignored and become emergency situations. We’ve all heard stories or experienced such situations. It often feels like a whirlwind when you get to emergency – you wait, someone comes in to do an assessment, maybe some treatment is given depending on the nature of the visits and then you are either discharged or admitted into a hospital bed for a day or two or in some cases it could be weeks. Many of our clients have shared stories of feeling overwhelmed and unsure of the next steps when there is an encounter with the hospital’s emergency department. One of the most important things to do before you leave the hospital is to ask the right questions and gather information to structure any ongoing care and management you require after discharge. What treatment did I receive while in the department? Do I require any special care? What follow-up visits do I need to schedule with a specialist or family physician? If you or your loved one has recently spent time in the emergency department, now may be the time for you to consider getting assistance in managing their care or seeking out services of experts who can help you navigate the complexities of BC’s health care system. A highly personalized service can ensure that all care needs are being addressed and that appropriate expert knowledge is guiding your decision making. A good registered home care provider can also notice symptoms and help you address issues before they become emergent. 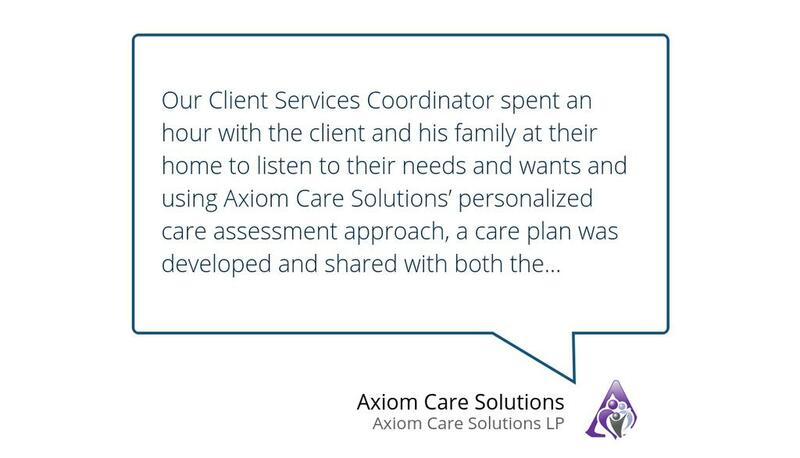 To find out more on the type of supports available to help make your loved one comfortable at home or how you can ensure that the care plan you have in place is optimized, contact us at Axiom Care Solutions. We offer VIP home care services that go beyond typical home care cookie cutter services. Our goal is to optimize living at home and reduce stress from uncertainty and medical jargon. Our monitoring systems also help reduce risks of hospital readmissions using technologies and personalized care management approaches that are customized to our clients’ individual wants and needs.